Lens Story Lucius grey are treat for your peepers. They are known to be one of the most vibrant pair of lenses. Though they look plain and transparent, they make your eyes look extremely expressive. 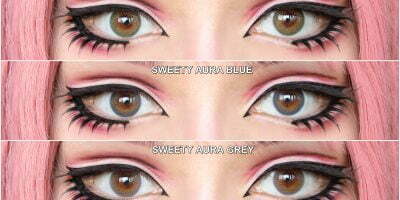 Lens Story Lucius grey create an illusion of bigger and deeper eyes. The enlargement is pretty huge that helps leaving a dolly impact. The lenses carry a bigger pupil hole that helps blending the lenses with your eyes. These lenses are little more dense than their I.Fairy counterpart. Thus, if you have been looking for meaningful eyes that are deeper and more expressive, yet natural looking then grab a pair of Lens Story Lucius grey.